Mosquitoes aren’t just a nuisance you have to endure when you go outdoors, they’re a legitimate cause for health concerns. They buzz around, searching for people or animals to dine on, sucking out their blood and bringing all sorts of diseases and viruses with them, like Zika, malaria and west Nile virus, none of which you’d probably wish on your worst enemy. But, dousing yourself, and your family, in chemical sprays come with another set of problems that can negatively impact health. So, what’s a gardener to do in order to repel these biting insects and keep everyone in the home free of disease? Use the power of smell. Mosquitoes are attracted to things like sweat and body odor, but certain scents that many of us find pleasant, repel them. That’s why things like citronella candles and DEET sprays work. There is also a number of sweet smelling, beautiful plants that contain powerful mosquito repellent properties. By including these 11 plants in your garden, you can give up chemical mosquito repelling products and enjoy a much more relaxing outdoor space without fear of getting bitten. 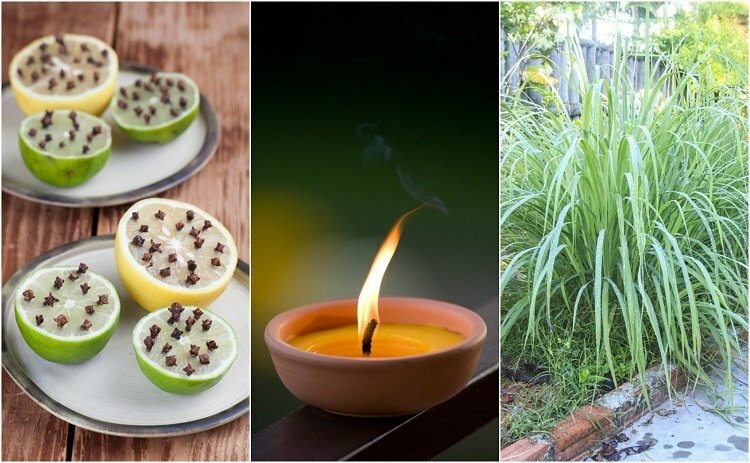 While citronella candles are often laden with chemicals, the citronella plant (officially known as the citrosum plant and often referred to as the mosquito plant) can be grown in your garden for mosquito control. The plant carries the fragrance of citronella in its foliage, and when a leaf is crushed and rubbed onto the skin, the aroma is very pleasant, yet it helps to naturally repel those mosquitoes. While not as effective as bottled repellents, it comes without the high price or potentially hazardous chemicals, and when grown in the garden, you’ll always have it on hand. This perennial clumping grass grows 5 to 6 feet and can be planted in the ground or kept in large pots. The plants tend to do best in full sun in areas with good drainage. If you live in a drought-prone area, you can still plant citronella as it’s relatively tolerant of summer stress. Want to try growing citronella? You can buy a Citronella Grass Plant from this page on Amazon. The green leaves of lemon balm have the scent of lemon with a hint of mint, which should be no surprise as it’s a member of the mint family. Not only does it offer lots in the way of healing properties, it’s known for warding off mosquitoes while also attracting important pollinators like butterflies and bees. For a quick mosquito repellent, all you need to do is crush a handful of the leaves in your hand and rub them onto your exposed skin. By growing lemon balm near your back door or in your garden, the leaves will be handy when you need them. Just keep in mind that while this plant is especially effective for keeping mosquitoes away, it’s also considered an invasive species, you can avoid a takeover by planting it in a pot, rather than directly in your yard or garden. It’s drought resistant, fast growing and reseeds itself, making it ideal for container gardening. You can purchase a live lemon balm plant from this page on Amazon so you don’t have to wait for seeds to start. 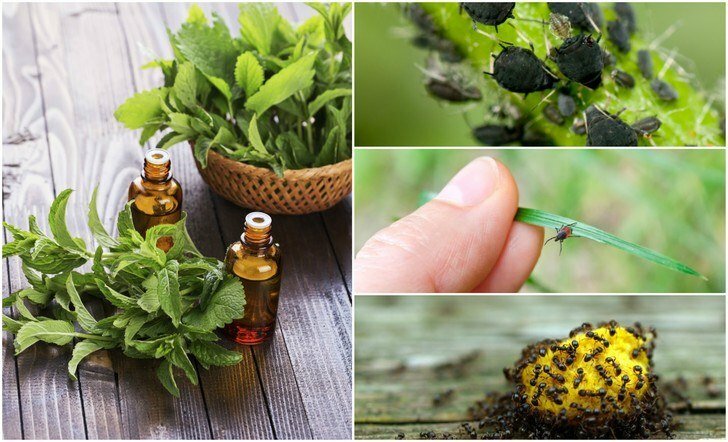 Not only will your feline friends be especially appreciative of having catnip around, it’s considered one of the best natural insect repellents. It contains a natural chemical known as nepetalactone, which is both a useful insect repellent and a feline attractant. In fact, studies, including one reported at the 222nd national meeting of the American Chemical Society, have shown that catnip is about 10 times more effective at repelling mosquitoes than DEET. Of course, if you’re not a fan of cats, you may want to consider one of the other plant options. Otherwise, be sure to plant it in a spot where cats can rub and roll in it without hurting adjacent plants. Some cats like it so much that they lie on it, roll on it, and chew it to the point of destruction. Catnip is easy to grow – it grows readily as a weed as well as a commercially cultivated plant in some regions of the U.S. While it will repel mosquitoes that are in close proximity to it, some people apply the crushed catnip leaves for optimal protection. A live catnip plant can be purchased from here to instantly start taking advantage of its mosquito repelling properties. Marigolds contain Pyrethrum, a compound used in many insect repellents. A “screened cage method” study examined the repellent action of essential oils derived from Marigolds and Myrtle compared to DEET and found that it demonstrated the protection time of 50% essential oils of marigold and myrtle were respectively 2.15 and 4.36 hours, compared to 6.23 hours for DEET 25%. Position potted marigolds near the entrances to your home, as well as common mosquito entry points like open windows to deter the insects from going past the barrier. As one of the most pungent of herbs, basil makes an outstanding natural mosquito repellent, giving off a scent without the leaves having to be crushed or touched. A 2011 review published in the Malaria Journal found that essential oils from Ocimum (basil) provided very high levels of mosquito protection, as much as 100 percent. Plus, as basil can be used in a wide range of dishes and for a variety of reasons, you’ll be able to take advantage of its wonderful flavors just by taking a few steps outside your door. Basil emits its aroma without crushing the leaves, so you can grow it in pots and place them in your yard or garden to control mosquitoes. To keep the mosquitoes away from your skin, rub a handful of the leaves onto exposed areas. Most of us love the smell of lavender, but few realize that it not only offers that fabulous scent, and helps promote a relaxing, calming sensation, but it can keep those tiny invaders from ruining your outdoor dinner party. The pleasant aroma of lavender is offensive to mosquitoes and is best harnessed by planting it in the garden, or in pots situated near doors, windows and entertainment areas. For an even higher level of protection, rub the plant onto your skin to release its oils. 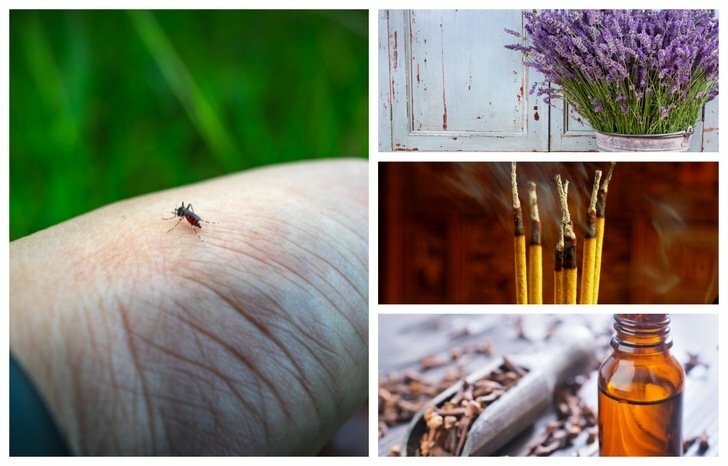 Lavender is also used in our highly effective Four Thieves Mosquito Repellent Spray. For a total guide on growing, harvesting and using lavender, read our guide here. Not only is peppermint’s minty clean scent significantly better than that awful chemical smell, it can serve as a natural insecticide to repel mosquitoes. In fact, research published in the Malaria Journal revealed just why it’s so effective. The experts discovered that it offered repellent action when applied to exposed body parts, while also showing larvicidal and mosquito repellent action. Mosquito larvae were killed 24 hours after exposure to a solution of peppermint oil and water. When enjoying your yard or when mosquito problems get severe, crush a few of the leaves on the plant to release the scent and oils. While eating garlic-filled foods won’t repel mosquitoes unless you consume a massive amount, growing garlic can do the trick. Planting it not only helps to deter the nasty rascals, but you’ll have your own supply of vampire repellent if you believe in that sort of thing anyway. Simply add some garlic to your vegetable garden or flowerbed. Pennyroyal is another famous natural bug repellent and it’s especially effective for battling mosquitoes. Simply planting it outside around your house can discourage them from taking up residence in your yard, and by keeping a vase of fresh pennyroyal in a room, it can kill any that occupy the area as well as drive potential newcomers away. By keeping the crushed stems in your pockets during times you’re most likely to be exposed, you can be just about guaranteed you’ll keep the mosquitoes away. As pennyroyal is related to the mint family, it can quickly become invasive which means it’s best to plant it in a container or control growth by using a tough border that it can’t penetrate through and spread. As it can be grown both indoors or out, you may want to grow it in a couple of containers in your home for added protection. This gorgeous flowering plant is most commonly used to flavor dishes, but it can also serve as an outstanding mosquito repellent amongst a number of other fantastic uses. You can keep it indoors or out, just be sure it gets full sun. For repellent purposes, both the live plant and cuttings from it are effective for repelling those annoying disease-carrying insects. Rosemary is great when you want to gather around a fire without battling mosquitoes. Just toss some in and the incense it gives off when it’s burned not only adds a nice smell, but it’s strong and unpleasant enough to those critters (and many other types of insects) that it will keep them away from you – provided you’re near the smoke. Scented geraniums are yet another popular mosquito repelling plant recommended by countless gardeners and gardening sites. The lemon scented type of geranium is most effective, as it’s similar to citronella, which as mentioned previously, is one of the best for keeping the pests away. Geraniums also have especially gorgeous blooms that can make for an incredibly attractive decorative piece. While they prefer a warm, sunny and dry climate, in cold climate areas, you can grow them in planters provided they’re pruned frequently.